Receive fans newsletter. DON'T MISS ANYTHING ABOUT BARÇA ! 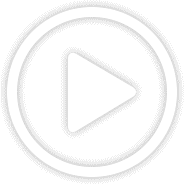 In a few minutes you will receive an email with instructions on how to activate your account. Information about Spanish Act 15/1999 on the protection of personal data (Articles 5, 6 and 11) and Spanish Law 34/2002 of 11 July, services of information society and electronic commerce. Personal data provided on this form will be included in a file of which the FC Barcelona is the Controller and will be processed for the management of its relations with FC Barcelona and for the supply of publications and communications by mail and electronic mail referred to FC Barcelona services and activities, and will only be disclosed to third parties with your consent or if it is allowed in accordance with the law. Your personal information will also be used to inform and send you promotional and commercial offers related on services and products FC Barcelona is interested in marketing, if not opposed to treatment within 30 days, by marking the box of the form. To exercise your rights of opposition, access, rectification and cancellation you must contact FC Barcelona OAB, by mail at Av. Aristides Maillol s / n 08028 Barcelona or by e-mail to oab@fcbarcelona.cat. In accordance with the provisions of Spanish Law 34/2002 of July 11, Services Information Society and Electronic Commerce, as amended by Royal Decree-Law 13/2012, I expressly authorize FC Barcelona for sending messages on information, promotions and trade-related services and products FC Barcelona is interested in marketing to the e-mail address and to mobile phone I have provided to oab@fcbarcelona.cat or registered office of the Controller. In a few minutes you will receive an email with instructions for changing your password. 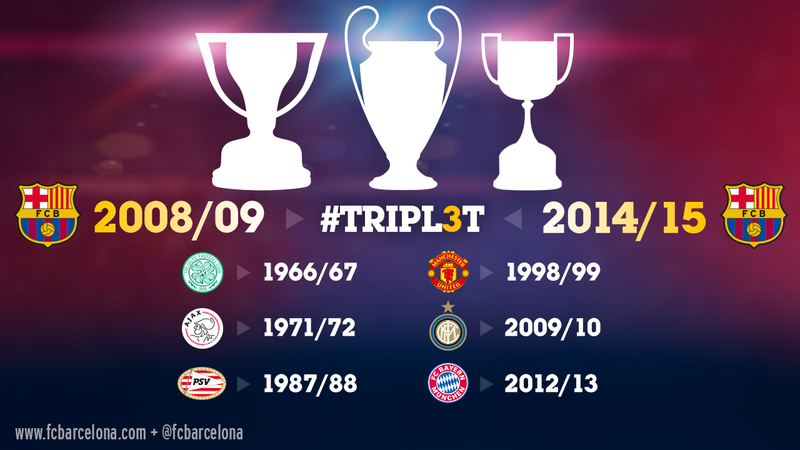 Barça make history with second treble! 2008/09 and 2014/15 go down in history as the two greatest seasons in FC Barcelona history. After beating Juventus at the Olympiastadion on Saturday night, they have completed the treble of Liga, Copa del Rey and Champions League, just like they did under Pep Guardiola six years ago. Seven different teams had won similar trebles in the past, but Barça are the first to repeat the achievement of 2009, the year that they won 6-2 at the Santiago Bernabéu on the way to the Liga title, beat Athletic Bilbao at Mestalla to win the cup and then overcame Manchester United in Rome to become champions of Europe. Of course, they went on to add the Spanish and European Super Cups and the Club World Cup, meaning an unprecedented six major titles in a calendar year. Six years later, now under Luis Enrique, and they have done it again. They clinched the league title at the Vicente Calderón, home of the defending champions, with a game in hand. Athletic were once again the victims in the cup final, this time at the Camp Nou, and the Champions League was secured on Saturday night in the German capital against another side that was chasing a treble, Juventus of Turin. No fewer than seven of the current Barça squad were involved in both treble-winning campaigns, namely Xavi Hernández, Andrés Iniesta, Leo Messi, Gerard Piqué, Dani Alves, Sergio Busquets and Pedro Rodríguez. No event found for selected month.